Online Chat on the Customer Portal. 8am-9pm, 7 days a week. TV has never looked this good. It’s super easy and may be free! [/vc_column_text][/vc_column_inner][/vc_row_inner][vc_row_inner column_margin=”default” top_padding=”5″ text_align=”left”][vc_column_inner column_padding=”no-extra-padding” column_padding_position=”all” background_color_opacity=”1″ background_hover_color_opacity=”1″ column_shadow=”none” column_border_radius=”none” column_link_target=”_self” width=”1/1″ tablet_width_inherit=”default” column_border_width=”none” column_border_style=”solid” bg_image_animation=”none”][vc_column_text]You’ve probably heard this warning before, but it bears repeating: Be vigilant against fraudulent online listings, phishing scams and shady web-based transactions, because things are only getting worse. From health care scams to shady business practices, there are a host of problems to watch out for. Here’s an overview of some of the most common scamming methods, and some ways to protect your identity and personal information. 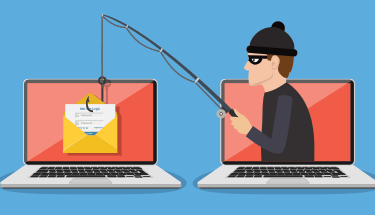 Phishing: Phishing involves casting a wide net of emails to obtain personal data, credit card info or passwords, and seeing who will bite. Phishing scams appear as if they come from a legitimate company. An email might ask you to click on a link to verify your account information. From there, malware is installed on your device, putting your sensitive data at risk. Spear-phishing: This is a targeted attempt to steal sensitive information. A bad actor mines personal details on a target in advance, such as their friends, hometown, employer, locations they frequent and what they have recently bought online. Attackers then contact the victim, disguising themselves as a trustworthy friend or entity to gain sensitive information. Avoid phishing scams by limiting the information you post online. On social media, for example, don’t publicly post anything you don’t want a scammer to see. If you receive a request for personal information, check with the company where you have an account. Social security phone fraud: In this incidence, numbers are spoofed to look like a legitimate 800 number. The caller identifies as a Social Security employee and says your file lacks necessary information, such as your Social Security number. The caller might claim to need additional information to increase your benefit payment. The caller then might threaten to terminate your Medicare benefits if you don’t confirm the information he or she has. If you get such a call, hang up and call the Social Security Administration at 800-772-1213. Tech support fraud: In these cases, someone might receive a pop-up message on their device or computer screen that looks like a routine update. When activated, the fake update infects the computer system. Another form involves a virus script that appears on a victim’s computer screen prompting the user to call a fake company for support. If called, a bad actor claims they work with a well-known company. Using fear tactics, the “agent” offers to fix the problem, remotely connects to the victim’s computer, identifies a fake problem, collects payment and removes the script, acting as if they have fixed the computer. To avoid this type of fraud, do not call a number that pops up on your screen in a warning about a computer problem—it is not legitimate. Never share passwords or give control of your computer to anyone who contacts you. 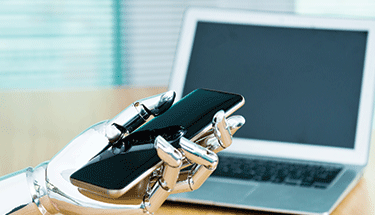 Are Botnets Controlling Your Devices? Copyright © 2019 Arvig Enterprises. All Rights Reserved.